I didn’t know that when I changed gynecologists I would be in for the shock of my life. I thought I was going to have my yearly exam. Just power through the awful pap and poking and prodding, get my mammogram order and move on. The poking, prodding and pap happened. But not until after my new gyno, a man who looks to be about five years old and nine feet tall, broke some very disconcerting news to me. My old gyno, a man who until that very moment was the most awesome gyno I’d ever had, screwed up. Royally. Old Gyno never told me I had something called endometrial hyperplasia (a condition in which the endometrium of the uterus just keeps growing and growing because of exposure to unchecked estrogen), something many women with PCOS are prone to. I had presented to him with heavy, 17 day long periods that were interrupted with a 5 day break, only to begin again. He evaluated me and blamed my suddenly-even-more-horrendous-than-usual periods on my recent weight loss. He gave me an endometrial ablation to stop this, a procedure where the doc burns the lining of your uterus to hedge the bleeding. 50% of women never have a period again after that. I wasn’t that lucky. An ablation is the absolute LAST thing your doc should do to take care of that. Why? Because endometrial hyperplasia is a pre-cancerous condition. It often leads to endometrial cancer, the fourth most common cancer among women, and the most common reproductive cancer out there. An ablation covers up the biggest indicator that the hyperplasia has turned to cancer–heavy bleeding. So, for three years my endometrium has been growing, unchecked, behind its cozy ablation-induced scar tissue. New Gyno signed me up right away for a hysteroscopy where he would go in and extract some tissue to biopsy. Still waiting to hear if I have cancer. Next step for me is a hysterectomy, an operation I asked for before the ablation since I was done having children. I have to admit that I am equal parts frightened and pissed, all for the obvious reasons. This is my third cancer scare in about as many years. May this one be just another “Sorry, we overreacted” kind of thing. Regardless, never ever let someone tell you that PCOS is not that big a deal. It rules our lives, invisible to everyone except the lady who has it. I had the pleasure of being interviewed by the International Writers Association’s Robert J. Moore. In November I joined this group and met Robert, a truly kind and, I must say, the happiest guy I’ve ever met. Stop by the podcast and follow it to get it in your inbox. Give it a review on iTunes and pass it along to friends and others you know who might like it or benefit from the great info there. Thanks for listening! Click here to listen to the interview. 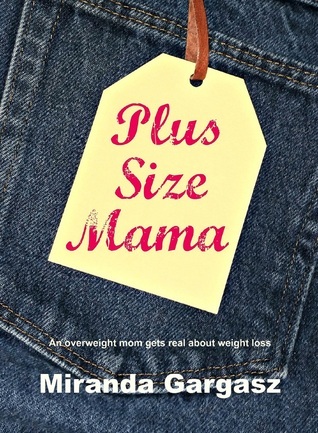 Want to win a FREE, SIGNED COPY of Plus Size Mama? Here’s your chance! Starting June 15th enter my Goodreads Giveaway! Giveaway ends June 23, 2016. Plus Size Mama is finally here! Check out the book trailer for Plus Size Mama, out tomorrow, May 10th! May 10th is just around the corner! I can’t believe that May 10th is just over a month away! In some ways it feels like I’ve been working on Plus Size Mama forever, and in others it feels like everything is moving too quickly. Regardless, I’m excited to have the book coming out, and I hope that everyone enjoys reading it as much as I loved writing it. The awesome part, for me personally, is that I started this venture in September 2015 at my highest weight ever. I still can’t say it out loud. I was devastated and embarrassed. Here I am, seven months later, and I’m 70 pounds lighter! I know I have so much further to go, but 70 pounds is nothing to scoff at. I am hoping to be down to my goal weight this time next year. Who knows? Maybe Plus Size Mama will sell wonderfully and be helping thousands of people find their focus, their courage, and their strength. I hope so. I hope it helps loads of people find the help they need to work toward their healthier selves, but mostly, I hope it helps them learn to accept themselves for the amazing people they already are. That matters most of all.